Welcome to Metal Odyssey, it will be quite the Metal trip! W.A.S.P. – “RE-IDOLIZED: The 25th Anniversary of The Crimson Idol” The Previously Unreleased Film & Soundtrack United After 25 Years! In 1992 W.A.S.P. released “The Crimson Idol”. It’s the story of Jonathan Aaron Steele, an abused child looking for love. Discovering music years later, he rises to international superstardom. Later followed by a catastrophic fall. 2017 marks the 25th anniversary of the original release, which is still considered to be the best album of W.A.S.P.‘s career, and one of the greatest concept albums of all times! “The Crimson Idol” undoubtedly belongs in every metal head’s record collection. The album about the anti-hero Jonathan Steele was originally intended to be accompanied by a movie, with several hundred hours of film that were shot to create approximately 50 minutes of movie footage. This film has never been released – Until now! 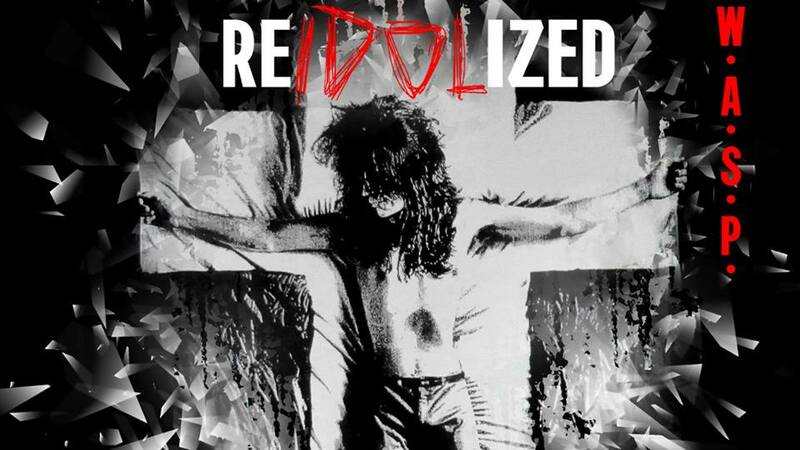 Napalm Records proudly announces “RE-IDOLZED”, the 25th anniversary of the iconic hit album plus the original “The Crimson Idol” movie on DVD and Blu-ray! For the first time EVER as originally intended, released in one product! “RE-IDOLIZED” will be available on Blu-ray, DVD, CD, and vinyl later this year! Special thanks to Scott Coverdale for the Metal research regarding this post. W.A.S.P. – Metal warrior Blackie Lawless has returned with his legendary band W.A.S.P., with a towering follow-up to 2009’s Babylon studio album. The new studio album is titled Golgotha and the lyric video for the opening track, Scream, is below. 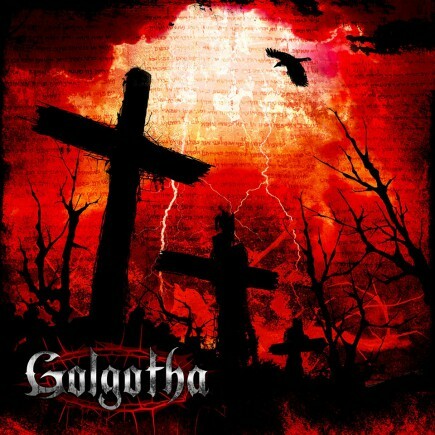 Golgotha was released back on October 9th, via the great Napalm Records. I would classify Scream as a more than a subtle religious song, lyrically referencing to the crucifixion of Jesus Christ, without saying his name. Heck, the images of the three crosses and the album title of Golgotha backs up my thought there. Maybe I am totally wrong, who knows? I like this song very much and yet it’s not the greatest W.A.S.P. song ever recorded either. I guess that tells me just how powerful the back catalog of W.A.S.P. songs are! I, like my Best Metal Buddy Scott Coverdale have been waiting for this new studio album to land; now that it’s here we are very, very psyched! I am pleased with the tempo of this song and the trademark W.A.S.P. sound is truly intact. Blackie‘s vocals sound sharp and the visuals featured on this lyric video are freaking cool as all hell. Strange as it sounds, I find the tempo and melody of Scream to be kinda similar to Night Ranger‘s song: Don’t Tell Me You Love Me. Perhaps it’s just me. LONG LIVE BLACKIE LAWLESS & W.A.S.P. On October 11th, 2012 – W.A.S.P. performed at Arena Älvhögsborg in Trollhättan, Sweden. Hail W.A.S.P.! 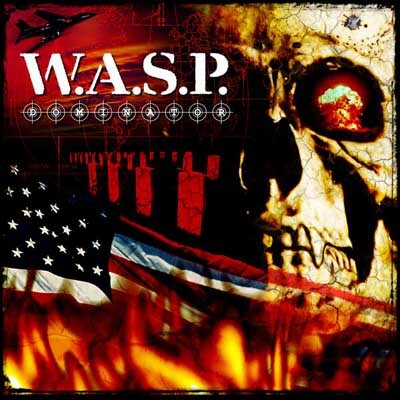 On October 11th, 2015 – The newly released studio album from W.A.S.P., Golgotha, is climbing on the iTunes Top 100 Heavy Metal Albums Chart, sitting at #3. Whoa. On October 11th, 2015 – The thirteenth studio album from W.A.S.P., Dominator, is ranked at #75, on the iTunes Top 100 Heavy Metal Albums Chart. Dominator was released back in 2007, via Demolition Records. On October 11th, 2015 – W.A.S.P. are to perform at Pakkahuone in Tampere, Finland. On October 11th, 2015 – W.A.S.P. Golgotha is ranked at #3, on the Amazon Best Sellers In Metal Chart. This Amazon chart is updated hourly, based on sales. This #3 ranking was taken at 2:30 A.M. EST. W.A.S.P. – Offering Chance To Win 1 Of 10 Signed Tour Items! Here’s The Info! Visit the official W.A.S.P. Store and enter your details to be entered into our prize draw for your chance to WIN one of 10 signed tour items! Competition ends Midnight November 11th 2015 – x10 winners drawn at random – 1 prize per winner. 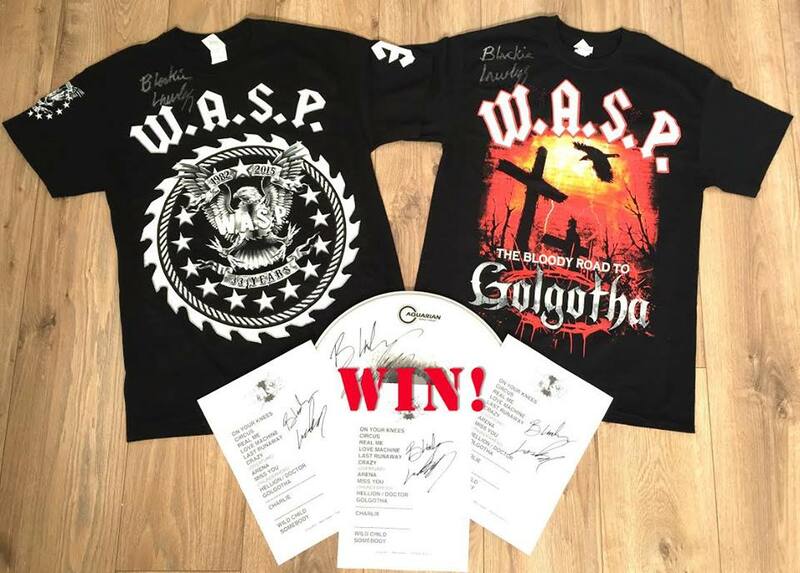 Golgotha, the NEW studio album from W.A.S.P. releases on October 2nd, via Napalm Records. W.A.S.P. – “Golgotha” Limited Metal Box Set Info; “Golgotha” Studio Album Releasing October 2nd, via Napalm Records! 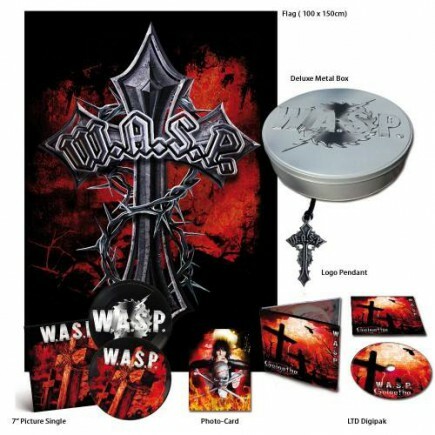 Check out the updated product picture (above) for the exclusive W.A.S.P. Metal Box! Including the Limited Edition Digipak CD, Exclusive 7″ E.P. Picture Vinyl Single “Shotgun – Alternative Version” with Logo Silk-Screen on Side B Carton Cover Sleeve and only available in this box, W.A.S.P. Logo Pendant/Necklace, Poster Flag and Photo-Card. Metal Box Limited to 1,500 units worldwide! W.A.S.P. To Release Golgotha on October 2nd via Napalm Records. Almost six years have passed since the world saw a new studio album from Metal Icons W.A.S.P. 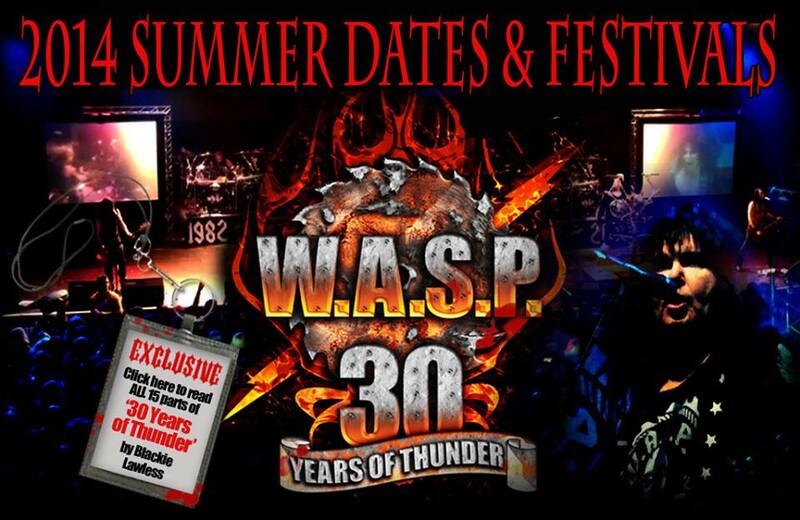 This October 2nd, the wait ends, as Blackie Lawless and the legendary rockers W.A.S.P. will release their long-awaited new album and Napalm Records debut Golgotha. Golgotha is available for pre-order from the Napalm Records Webstore in North America and Europe. W.A.S.P. came out of the Los Angeles Metal scene in 1982 gaining notoriety for their shock rock antics. With a career spanning over 3 decades, 17 world tours, and now their 15th studio album, they are a metal band that has evolved in maturity without having lost their signature sound, unlike many of their peers from their origins. Golgotha will continue down the path that 2007’s Dominator and 2009’s Babylon started on, both in production style and theme. Years in the making, Golgotha will undoubtedly lead the listeners on the emotionally epic undertaking that W.A.S.P. has become acclaimed for! Almost six years have passed since the world saw a new studio album from Metal Icons W.A.S.P. 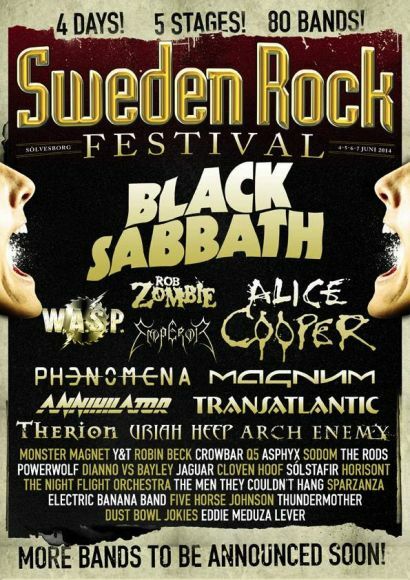 That is about to change as W.A.S.P. has signed a new worldwide record deal with Austria’s Napalm Records. W.A.S.P. will release their 15th studio album titled Golgotha this August. “W.A.S.P. are excited to announce they have signed an exclusive recording contract with Napalm Records. We chose Napalm for their personal belief and professional commitment to our career. We’re looking forward to years of great success together starting with the release of our upcoming album Golgotha”, states W.A.S.P. front man Blackie Lawless. W.A.S.P. came out of the Los Angeles Metal scene in 1982 gaining notoriety for their shock rock antics. With a career spanning over 3 decades, 17 world tours, and now their 15th studio album, they are a metal band that has evolved in maturity without having lost their signature sound, unlike many of their peers from their origins. Golgotha will continue down the path that 2007’s Dominator and 2009’s Babylon started on, both in production style and theme. Six years in the making, Golgotha will undoubtedly lead the listeners on the emotionally epic undertaking that W.A.S.P. has become acclaimed for! Special thanks to Scott Coverdale for story. W.A.S.P. 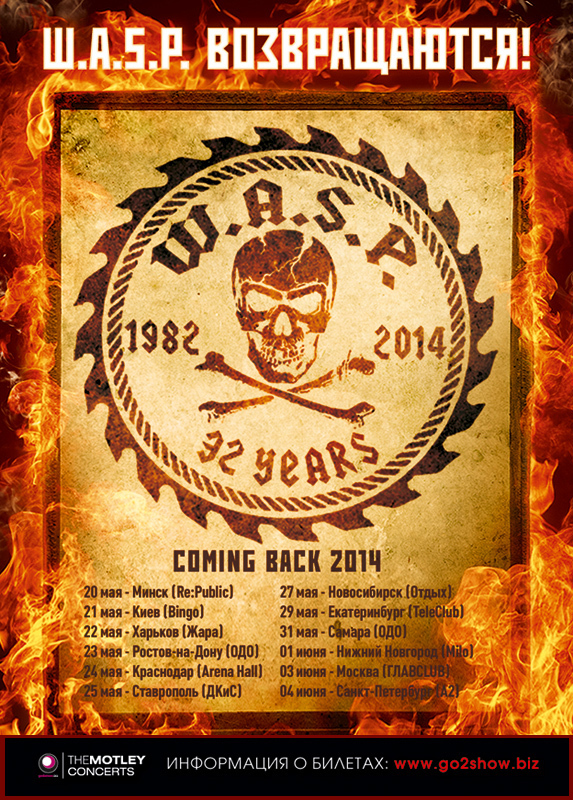 – Below are 2 concert flyers that have been put up on the official W.A.S.P. Nation Website, only days ago. I can only hope, dream, wish and pray, that the fantastically legendary Blackie Lawless and his iconic band W.A.S.P. make their way to my area of the world, in 2014. Metal be thy name!! If you’re a band or musician and would like your music reviewed or be interviewed by Stone, please click the link under the “ALBUM REVIEWS ARCHIVES” section below! Enter your email address to subscribe to the Metal Odyssey blog and receive notifications of new posts by email. METALOCALYPSTICK: Canada’s Premier Women Focused Metal Festival Announces 2019 Lineup w/ Lost Nebula, Interitum, Massive Scar Era and more! NOCTIFERIA – Announced To MetalDays 2019 Line-Up! NORSEMEN – Italian Death Metallers Announce New Album “Bloodlust”! 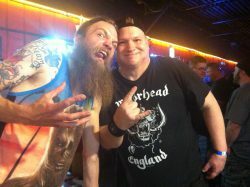 CLICK HERE TO FOLLOW METAL ODYSSEY ON TWITTER! *Want your music reviewed or to be interviewed by Stone? CHARITABLE SITES THAT ARE VERY COOL! Bikers Against Child Abuse of Lehigh Valley Inc. Heavy Metal & Rock 'N' Roll Related Websites! 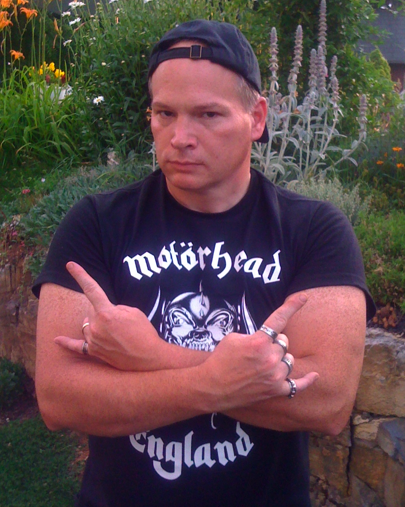 METAL & HARD ROCK BLOG-SITE WARRIORS! 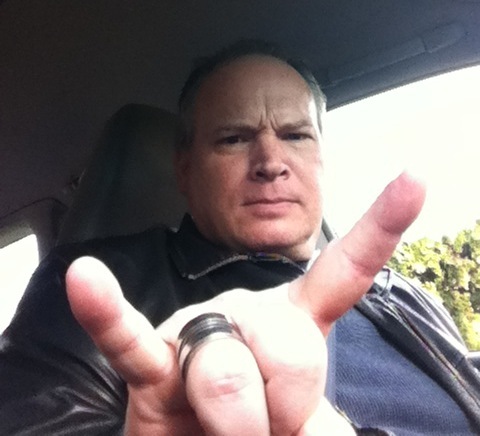 Metal Odyssey's Rock, Hard Rock and Heavy Metal Hall of Fame! These Are The Rock And METAL Legends Wrongfully Ignored By "The Rock And Roll Hall Of Fame"